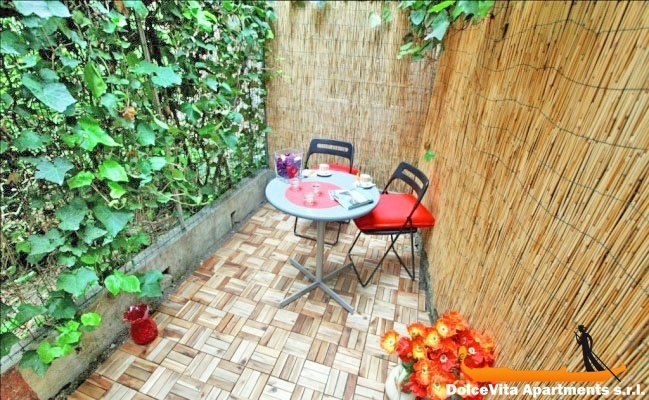 Apartment N. 40: It can accommodate up to 2 people, it is rented from 96 € per Night (not per person). 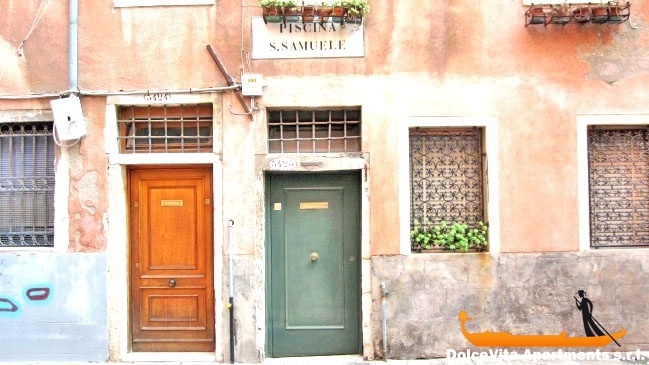 This charming studio in the heart of St. Mark district in Venice, which was recently renovated and furnished in a very cozy way, is ideal for one couple, but also with children. 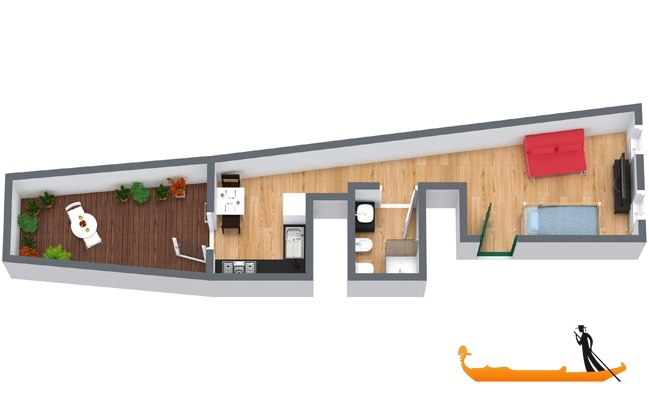 It is located on the ground floor; there is a living room with double sofa bed and a folding bunk bed, bathroom with shower, fully equipped kitchen (refrigerator, freezer, microwave, kettle, ..). 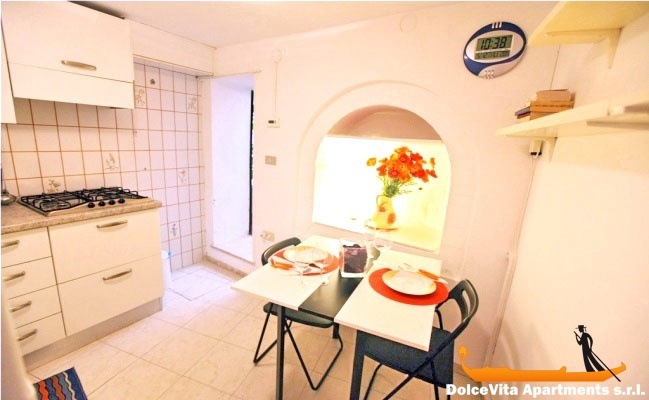 There is also TV, heating, washing machine and a small closet. 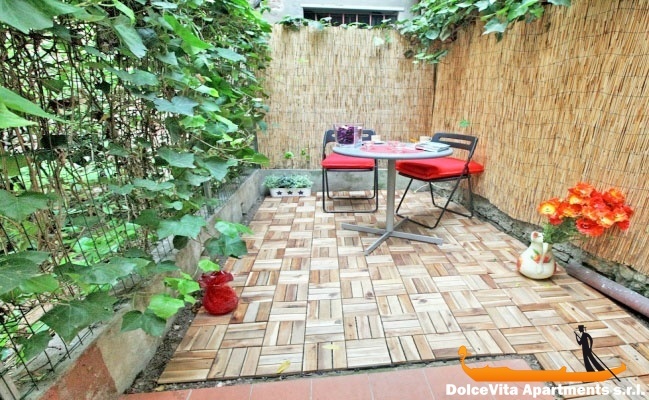 There is still a small private patio where you can spend a moment of rest, although you are in a central area of Venice. 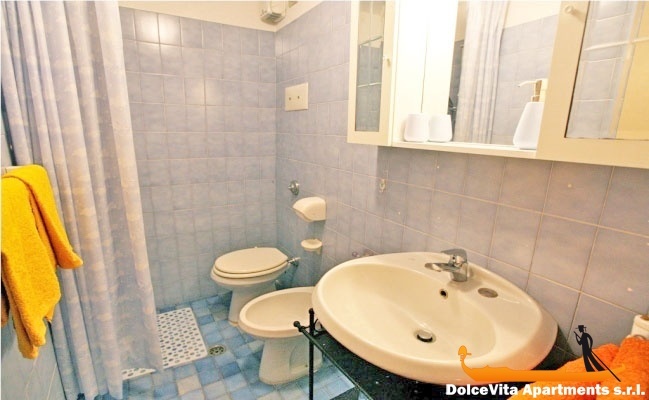 You will be very close to the “Campo Santo Stefano” square and just steps away from St. Mark square. 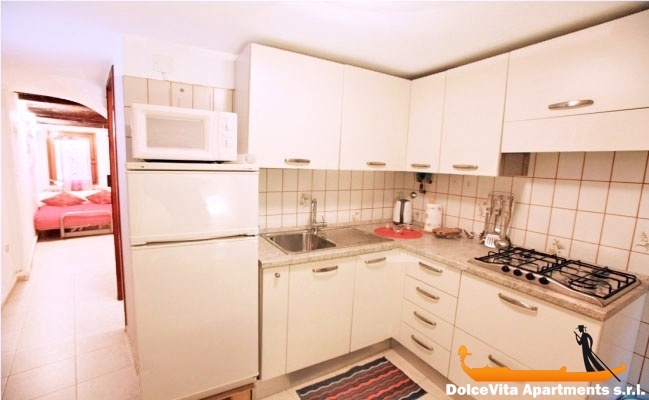 The big advantage of this apartment is its location, close to everything.